Established in 2008, Croc's Playcentre's, franchised throughout Victoria, can be found in 8 locations across suburban Melbourne. 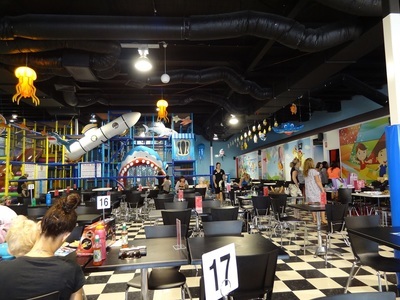 Seven months ago, Croc's Playcentre snapped up a Frankston location, the third Croc's venue found within Melbourne's South East (also located in Clayton and Moorabbin). Croc's Playcentre Frankston is located opposite Bunnings, within the Frankston Power Centre; also home to large stores such as Spotlight, Harvey Norman, Anaconda, Freedom Furniture and more. 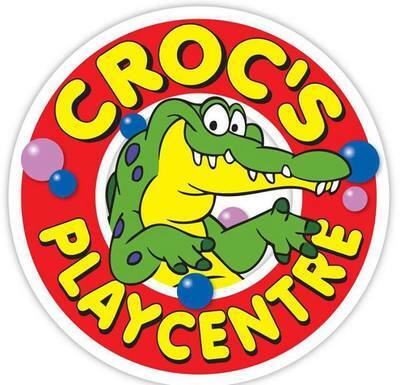 Despite being positioned within a retail complex, Croc's Playcentre isn't difficult to find, easily recognised by its signature bright green crocodile logo. If in doubt, follow swarms of eager children magnetized to the direction of the playcentre, often followed by accompanying parents carrying a wrapped gift in hand; because Croc's Playcentre's host a bunch of kids birthday parties, particularly on weekends. 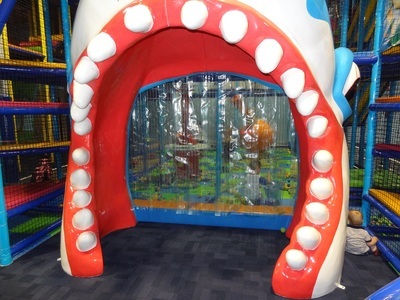 Croc's Playcentre Frankston comes decorated with a distinct underwater theme, including an ornamental submarine, bright glowing jellyfish, a huge shark head, and little tropical fish hanging from the ceiling. Unlike some other playcentre's, the layout of Croc's Playcentre Frankston works well, with a not-too-large seating cafeteria in the centre, a dedicated baby area (for the under 2s) positioned by the windows, a secured toddler space (for the under 4s) to one side, and all the 'big kid' fun found at the back, located behind those awesome shark teeth. 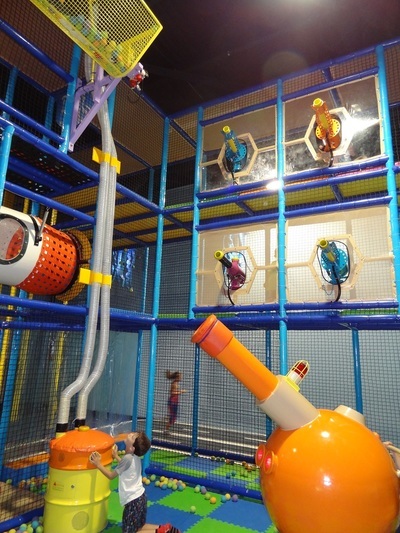 It is hard to deter the over 4s away from the multi-level ball battle zone, but when they do grow tired of shooting soft balls from pistols and a giant cannon, they can repeatedly journey up and down the 4-way wave slide, the giant speed slide or ride the carousel. Food choices are on the healthier side with a variety of ready-to-go sandwiches and wraps, otherwise you can request your own fillings from the menu. Hot food is catered with nuggets, hot chips and the like. Grown ups can enjoy a tea or coffee, and little people can refresh with juices and flavoured milks. 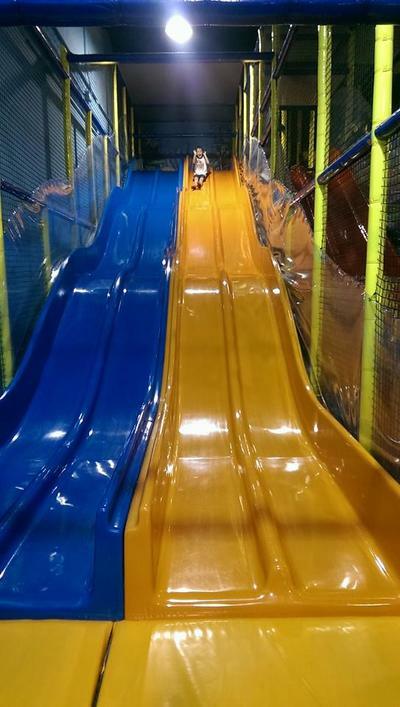 What stands out above the rest is Croc's Playcentre Frankston's cleanliness, still gifted with a shiny almost brand new feel, even 7 months down the track, undeniably due to the manner of which it is kept by the centre's owners. Free entry for adults and the under 1s. Party packages are understandably popular, with 4 options to choose from starting with the 'Party Basics' package at $169 for 8 kids, to the 'Disco Party' package at $259, with 8 kids or more (extra per child) using the disco room complete with flashing lights and funky tunes. After hours venue hire is also possible. To find out what is included in party packages, check out all options here. Top Tip Croc's members will get discounts on entry and party packages, it is free to join (fill out a form when visiting) and membership can be used in any Croc's playcentre. Check out Croc's Playcentre Frankston online and on Facebook for all the latest news, events and special offers for members. Please note socks must be worn while in play areas and adult supervision is required at all times.